On January 1, 1959, revolutionary forces led by Fidel Castro successfully overthrew the authoritarian government of then President General Fulgencio Batista (the “Revolution”). And on February 16 of that same year, Fidel Castro was sworn in as prime minister of The Republic of Cuba (“Cuba”). 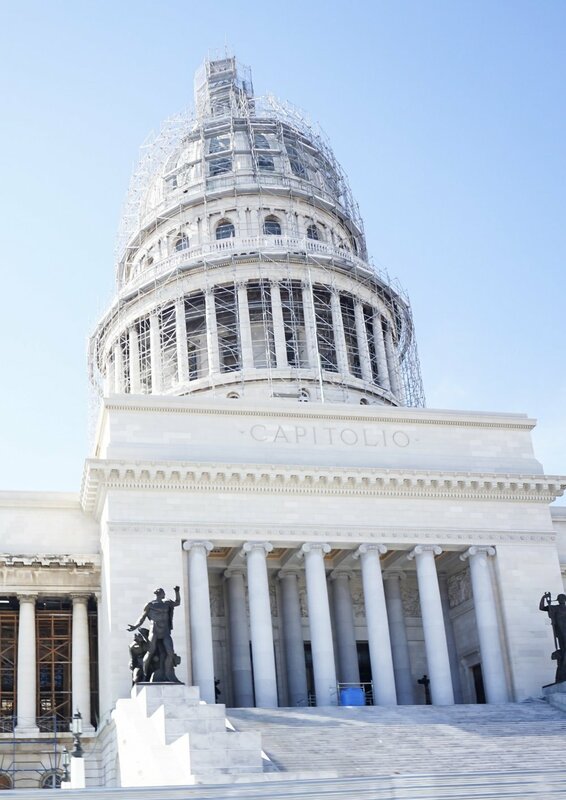 Almost immediately, Castro and the new Cuban Government used the newly enacted Agrarian Reform Law of May 17, 1959 to begin extensive economic and social reforms on the island. The reforms included the expropriation of land, businesses, companies, and other private property owned by Cuban and foreign interests. Numerous laws followed, which by 1968 led to the nationalization of all forms of property on the island - from corporations and schools, to small farms and street vendors. Prior to the Revolution, Cuba’s economy and political system were intertwined with economic and political interests found in the United States of America (the “US”). The introduction of the US Platt Amendment in 1902 assisted in establishing the US influence over Cuban political affairs; and just prior to the Revolution, US businesses owned 75% of Cuba's fertile land, 90% of its public services, and 40% of the its sugar industry. It is estimated that the Cuban sugar trade with the US was the source of 80% of Cuba’s foreign currency. In the first months following the Revolution, it appeared as if the US Government and US Corporations were not too concerned with the change in “local” power. In 1959 US investors and businesses continued with the scheduled investment and trade plans. In fact, initially US President Dwight D. Eisenhower officially recognized the new Cuban Government. Beginning in 1960, relations between the US and Cuban governments rapidly deteriorated. While the Cuban Government continued its nationalization efforts, the US Government instituted and then increased trade restrictions, and organized and implemented plans to overthrow what it began to call, the “Castro Regime.” In February 1960, a trade mission from the Union of Soviet Socialist Republics (the “USSR” or the “Soviet Union”) traveled to Cuba. This meeting resulted in a trade agreement providing for, among other things, (1) the sale of Cuban sugar to the Soviet Union from 1960 - 1964, in exchange for currency and unrefined oil, (2) a loan from the Soviet Union to Cuba, and (3) technical assistance from the Soviet Union for the construction of plants and facilities. In May 1960, the Cuban Government and the Soviet Union Government resumed diplomatic relations, which had been suspended since 1952. An East German Trade Mission and a trade agreement with Poland followed. In response, the US Government became increasingly more concerned with what they viewed as an open invitation for the extension of the Communist influence in the Americas. In May 1960, the Cuban Government ordered the oil refineries on the island - Standard Oil, Esso (which became Exxon in the US), Texaco, and Shell - to refine Soviet crude oil. On June 7, 1960, due in part to pressure from the Eisenhower Administration, the companies refused. In response, the Cuban Government nationalized these oil refineries, and in July 1960, President Eisenhower retaliated by canceling the remaining 1960 sugar imports and all future scheduled sugar imports. Eisenhower used authority given to him through a then recent bill passed by the US Congress that allowed him to cut the Cuban Sugar imports if he deemed it was in the US national interest. As sugar was the largest Cuban export and made up much of the Cuban economy, the Cuban Government responded by (1) nationalizing most US-owned assets on the island, including banks and sugar mills, and (2) establishing sugar trade agreements with other nations that were Socialist regimes. This led to the US Government taking the first step of what is known in the US as The Embargo: On October 19, 1960, the US Government placed an embargo (prohibition) on all exports to Cuba, except food and medicine. In the first few days of 1961, the Cuban Government, suspecting espionage, ordered the US Embassy to reduce its 300-person staff. On January 3, 1961, the US Government responded by officially ending diplomatic relations, and increasing funding of covert, and overt, military and non-military efforts to overthrow the Castro Regime. Castro formally declared Cuba a socialist state on May 1, 1961. For the 50+ years after the 1959 Revolution, the governments, businesses, and people of both countries made decisions that culminated in the deterioration of their relationship and the establishment of the Embargo that we know today. The US federal statutes that form this commercial, economic, and financial embargo and their effect are known in Cuba as el bloqueo, "the blockade.” One consequence of which is that US citizens have not been able to travel freely to the island for over 50 years.